3. Just before serving, drain the pears and apples. Toss together in a large bowl with the endive and salad greens . 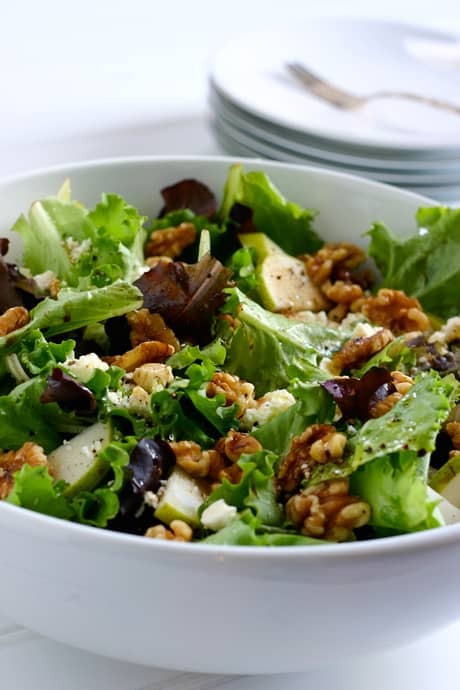 Arrange the salad on a platter and sprinkle with the toasted walnuts. Serve the dressing alongside.